Based on race food used by professional cycling teams, the DUO Bar is so called because it is pre-cut into two equal pieces with each piece delivering 20g of carbohydrate (one OTE serving). OTE estimate that 2x20g carbohydrate can deliver the energy required to fuel 45-60 minutes of exercise. An OTE DUO Bar is ideal to use before, during or after exercise, or as an alternative healthy snack when you are on the go. High in carbohydrate and low in fat, if you are pushed for time prior to exercise and struggling to take the necessary carbohydrate on board to fuel your workout, taking a DUO Bar 1-2 hours before exercise will give you that carbohydrate boost you need. The DUO Bar provides an alternative source of carbohydrate to energy drinks and gels if you prefer to take solid food when exercising. The wrapper is particularly easy to open on the move. OTE is the official nutrition partner of the Cannondale Pro Cycling Team and Team Lotto Jumbo. OTE energy foods are 100% researched, designed, developed, manufactured and tested in Great Britain. It's when you're out longer that you might have to replenish your energy stores on the move and that's where OTE's easily portable nutrition comes into its own. For a steady workout, OTE recommend consuming 40g carbohydrate an hour. That's two small bananas worth. 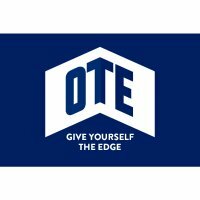 OTE can supply 40g carbohydrate in a more compact, portable format via a 43g sachet of their energy drink in 500ml water, or two OTE Energy Gels or two OTE Sports Bars. For a brisk workout, OTE recommend consuming 60g carbohydrate an hour which OTE can supply via one energy drink + a gel, or one energy drink + half an energy bar. For a hard workout, OTE recommend consuming 70g carbohydrate an hour.